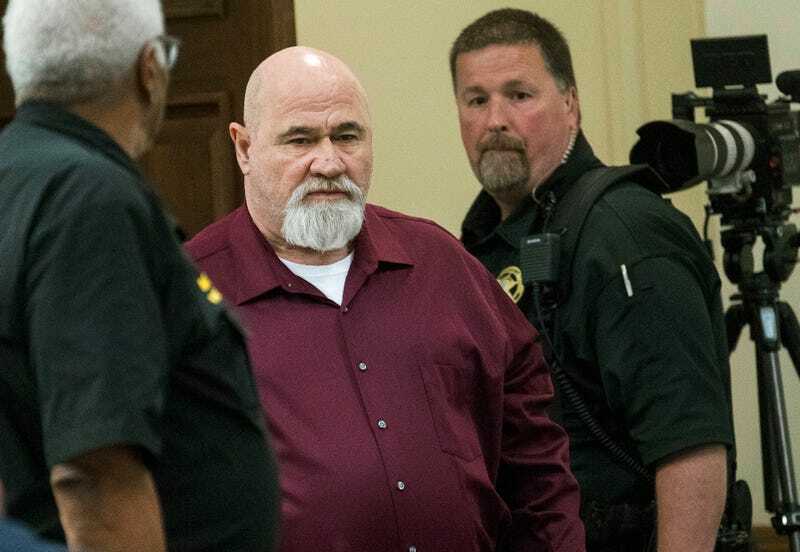 After 35 years of evading justice, a white Georgia man will spend life in prison for the murder of a black man. On Tuesday, Frank Gebhardt, now 60, was convicted of murder in the 1983 death of Timothy Coggins. Witnesses say Coggins was stabbed 30 times and dragged behind a pickup truck for dating a white woman, according to the San Francisco Chronicle. The case remained unsolved for years, but last year, there was a break in the case after a new witness came forward. Five people, including Gebhardt, were subsequently arrested. And on Tuesday, after six hours of deliberation, the jury returned the verdict. A judge immediately sentenced Gebhardt to life in prison (plus 20 years), according to the Atlanta Journal-Constitution. “Hopefully, sir, you have stabbed your last victim,” Judge Fletcher Sams said as he sentenced Gebhardt. According to prosecutors, Gebhardt and his brother-in-law, Bill Moore Sr., stabbed Coggins and dragged him to a rural road in Spalding County on Oct. 5, 1983. Moore is still awaiting trial in the case. But, finally, justice was served for a black man, at least in Gebhardt’s case, despite taking 35 years.